Samsung's flagship smartphones have almost always been available in multiple color variants, so we're all expecting the same thing to happen with the upcoming Galaxy S10 series. Earlier this month, we reported that the Galaxy S10 could be released in the following five color versions: black, white, silver/grey, green, and pink. However, now we're hearing that Samsung is readying a slightly different color palette. According to @OnLeaks (usually a very reliable source), Samsung Galaxy S10's "final" color range should include no less than six options - black, grey, blue, red, green, and yellow. While we can't know what these color variants will look like, the green one certainly sounds interesting. If this is anything like the emerald green version of the now old Galaxy S6 edge (pictured below), it could very well be the standout color of the S10. 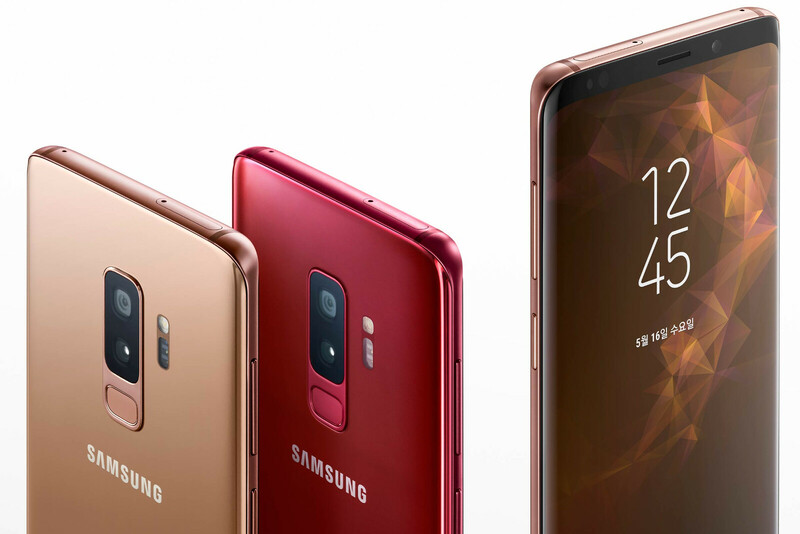 Since this year's Galaxy S9 already comes in six colors (black, grey, blue, red, purple, and gold), it's not hard to believe that the S10 can have just as many color options. Of course, exact availability will likely depend on market, carrier, and specific model. The Samsung Galaxy S10 series might be announced in February 2019, possibly including three distinct models. More precisely, we could see two expensive S10 handsets with curved displays measuring 6.1 inches and 6.4 inches, respectively, and a more affordable model sporting a flat 5.8-inch display. All are rumored to be powered by a (yet to be announced) Qualcomm Snapdragon 855 processor, at least in North America. This should be Qualcomm's flagship chipset of 2019, so the Galaxy S10 is - unsurprisingly - expected to be among the most powerful smartphones of next year. No matter how many colors they have at launch, here in the states we will always only get 2 (maybe 3) of the same color options at launch...same sh*t every year. Cmon Sammy you can do it! Emerald green in the states! Take a page out of apples book and release all colors everywhere! Whatever lol. Samsung is really messed up when it come to colors and market availability. I bet you most of those exotic colors aren't coming to the USA, just like they havent since the S6/Note 5. And what happen to White bring it back. If they bring back green, it's a wrap! Best phone of all time incoming! How ironic...While they are at it...call it Galaxy S10R...this will make Apple proud. This is sure to increase sales... Looks like Samsung's current global 2018 fiscal sales numbers: Galaxy S8 = 25 million Galaxy S9 = 40 million Note 8 = 3 million Note 9 = 10 million Rest of Samsung's portfolio = 230+ million are less than $300-$400 phones This is a true statement!!! Samsung Mobile is doing a decent job giving all of it others divisions plenty of business. How convenient that people forget that Samsung actually BUILDS a device and does not just source out all the parts. The days of front white panels are gone. Good to see some variety. They are copying apple’s marketing. From screen size to colors. Innovation!!! Yeah, and that's a really original username. In the US, each carrier should have a color option that matches their color. Magenta for TMO Wolverine Yellow/black for Sprint Verizon Red ATT Blue. Always have black, emerald green, some type of gold/copper, and maybe white. The venerable Emerald Green color. Though that Burgundy red is just as beautiful. A yellow color option caught my thought. Was there a yellow Samsung phone before? I use clear cases. It’s sufficient protection for me. I’ve drop this thing over a dozen times. Also, please make that finger print reader a little bit lower to minimize smudges on the camera for accidental touches.